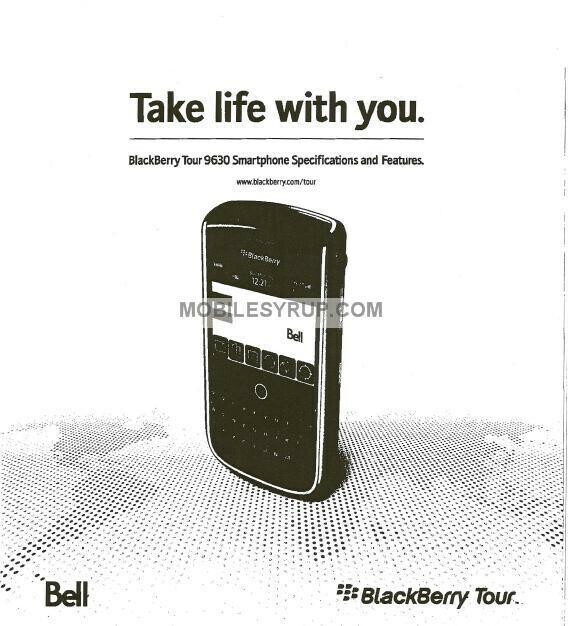 Just the other day, we reported that the BlackBerry Tour 9630 was apparently heading for a Canadian release through Bell. 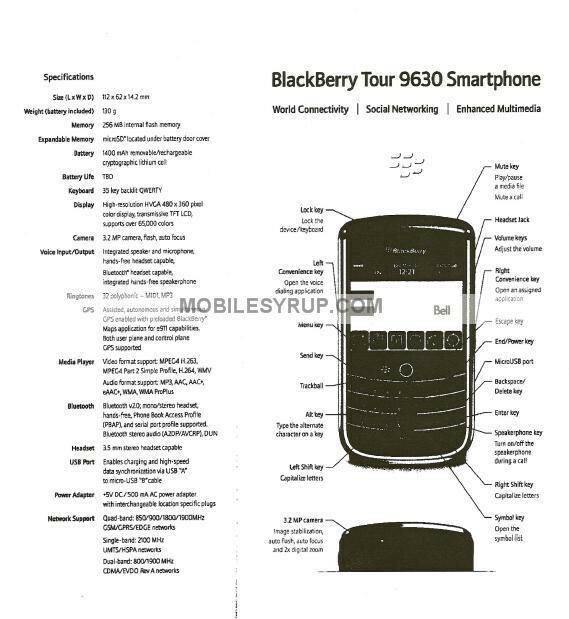 A leaked copy of some internal documents from the carrier reveals the device's specs and features. For example, the handset will have a HVGA display with a resolution of 480x360, a 3.2 MP camera with flash and AF, a 3.5 mm audio jack, 35 button QWERTY keyboard with backlight, microSD slot under the battery cover and a hefty 1400 mAh removable lithium cell. There will be no Wi-Fi on this model, but there will be 3G connectivity. No word on pricing, but as we recently told you, Verizon is also expected to start offering their version of the device next month.